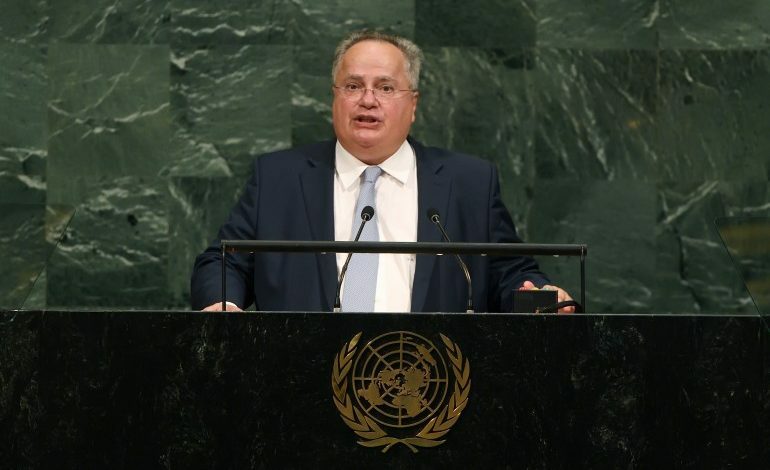 Greece is a pillar of stability in a region that is still extremely unstable, Foreign Minister Nikos Kotzias said on Saturday at the 72nd UN General Assembly. Kotzias stressed that Greece follows a multidimensional external policy amid wider insecurity and instability in the world. In this context, Kotzias pointed out that Greece promotes a positive cooperation agenda in international relations and highlighted the initiatives taken. In particular, he referred to the Rhodes Conference on Security and Stability, the Athens Conference on Religious and Cultural Pluralism and Peaceful Coexistence in the Middle East, and the newly established Forum of Ancient Civilizations. In an effort to develop a positive, multifaceted cooperation agenda with emphasis on synergies and joint actions, notably through culture, he said, Greece and have created a series of tripartite partnerships with states such as Egypt, Israel, Jordan, Lebanon and Palestine Cyprus in order to promote peace and stability in the region. Moreover, Kotzias highlighted the Greek regional cooperation initiative in the Balkans with the establishment of four-party partnerships between Greece, Bulgaria, Albania and FYROM. “We consistently pursue friendly relations and enhanced cooperation with all our neighboring States as a means of promoting stability and prosperity for all. The rise of nationalistic rhetoric in the region raises grave concerns. We wish to underline that actions and statements that undermine good neighborly relations should be avoided by all means. Accordingly, progress in Greek-Turkish relations can only be built upon the full respect of international law, including the International Law of the Sea. 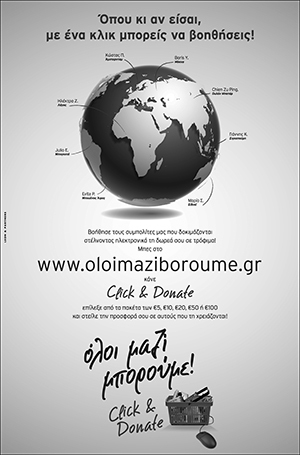 We have repeatedly pointed out that good neighborly relations cannot be served by persistent challenging of Greece’s sovereignty and sovereign rights by a neighbor. Regarding the Cyprus Issue, our objective is summed up in a concept that the UN Secretary General adopted during the International Conference on Cyprus: to make Cyprus a “normal state”. A sovereign and independent state, free of foreign occupation troops, external guarantees and intervention “rights”. The International Conference on Cyprus held in Switzerland this year, was unfortunately closed last July, without producing agreement, because the Turkish and Turkish Cypriot sides were the only parties in the Conference who did not share the goal of the “normal state” concept.